Facebook has admitted more discrepancies may exist in mobile search, and the way it counts user reactions to live video. A discrepancy was identified for counting the use of like and share buttons, as well as the counts when you enter a weblink into the search bar of the Facebook mobile app. In a blog post released by Facebook today, it said: "We have found that there may be a difference between what these metrics count and what the mobile search query counts. "We are looking into why inputting the URL as a search query in Facebook's mobile app might have corresponding numbers that can be higher or lower in certain cases. "We are working to resolve this issue so that the Like and Share button metrics and our mobile search query metrics match up, and we will notify partners as soon as we have an update." For live videos, Facebook admitted it has been misallocating reactions from users. 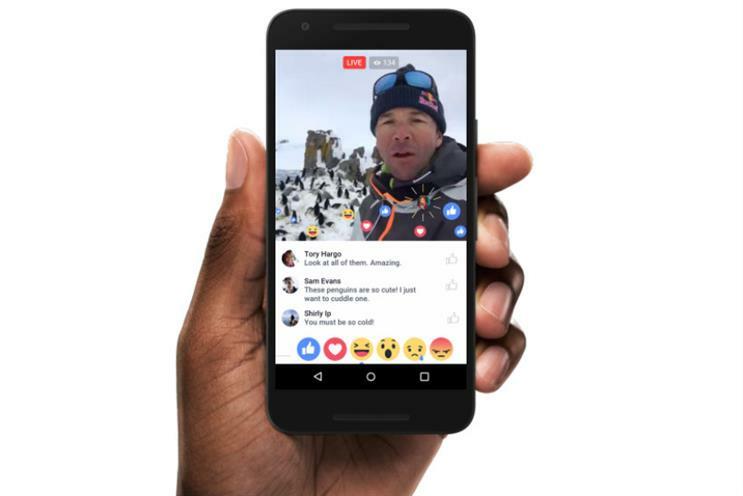 While users can react several times to a live video broadcast, Facebook's Page Insights tool has only been showing one reaction per unique user. Any further reactions were wrongly put into a different reporting column. However, the total reaction counts were correct and Facebook said it was fixing the problem. This is the latest admission by Facebook of discrepancies in the way viewing figures are calculated for different media posted on the site. In September, Facebook was widely criticised after admitting it had miscalculated key metrics and had greatly overstated how much time its users were spending watching videos. Last month, it found a bug in Page Insights that miscalculates the number of unique visitors a Facebook page might get in a week or month. The social media giant said it hoped to make up for the discrepancy by offering more access to third-party verification, the establishment of a measurement council, and a blog dedicated to ensure more communication and clarity around metrics. Facebook has been working on third-party verification since September 2015, when it announced a partnership with independent analytics form Moat to verify Facebook video ad views and view lengths. Facebook subsequently joined forces with ComScore and Nielsen. Today’s blog post is part of a "regular information" channel on metrics enhancements that Facebook has launched in a climate of mistrust of digital media. This week, Facebook said, it has updated the way it calculates the numbers that appears in its estimated reach tool when creating an ad. "When an advertiser begins creating a campaign, the tool provides them with an estimate of both the potential overall reach and the estimated daily reach of their ad campaign," the post says. "Note that this tool does not reflect reach for campaigns that have already run, nor does it affect any other reach metrics." Facebook said it is also improving its methodology for sampling and extrapolating potential audience sizes, which it believes will help to provide a more accurate estimate for a given target audience across its different platforms for Facebook and Instagram. Advertisers should expect to see less than a 10% change either way in the audiences sizes shown in the estimated reach tool.